Organic Turmeric Powder (99%), Vegetable Capsule Shell: Hydroxy Propyl Methyl Cellulose*, Organic Black Pepper Extract* (1%). 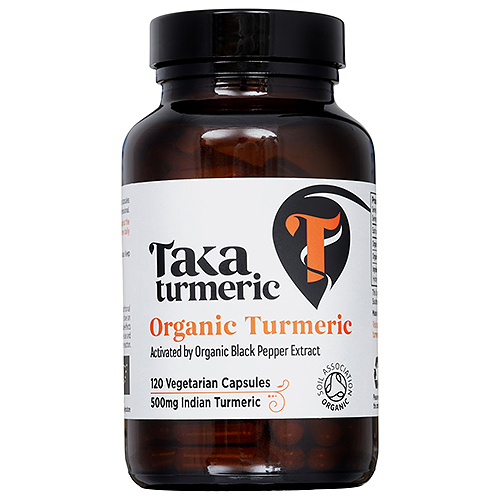 Below are reviews of TAKA Turmeric with Black Pepper Extract - 120 Capsules by bodykind customers. If you have tried this product we'd love to hear what you think so please leave a review.